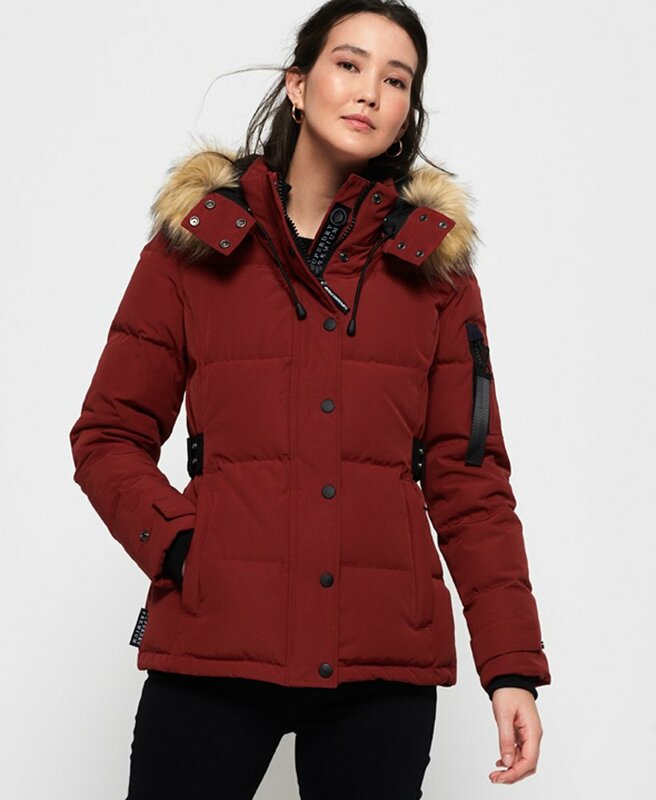 Superdry women's Premium Rescue down jacket. Stay warm this season with the Premium Rescue down jacket, featuring a 90/10 premium duck down filling, with a low fill power rating, a removable hood and zip and popper fastening. This jacket also features two front pockets, a sleeve pocket and adjustable waist belt for your perfect fit. The Premium Rescue down jacket is completed with an inside pocket, beautifully soft faux fur trim to the hood and a Superdry Premium badge on one sleeve.